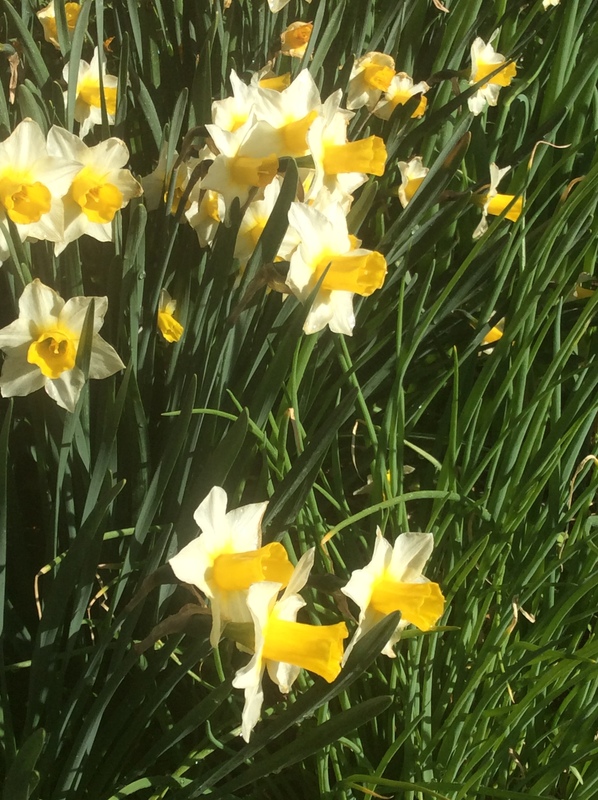 Spring in the garden is so beautiful that there is nothing you can do but admit to the cosmos that you could never have deserved this rush of glory but somehow received it anyway. The season conduces to a stance of awestruck gratitude. This is also the great season for salads, and on an average day my salad bowl contains somewhere between 12 and 20 species. 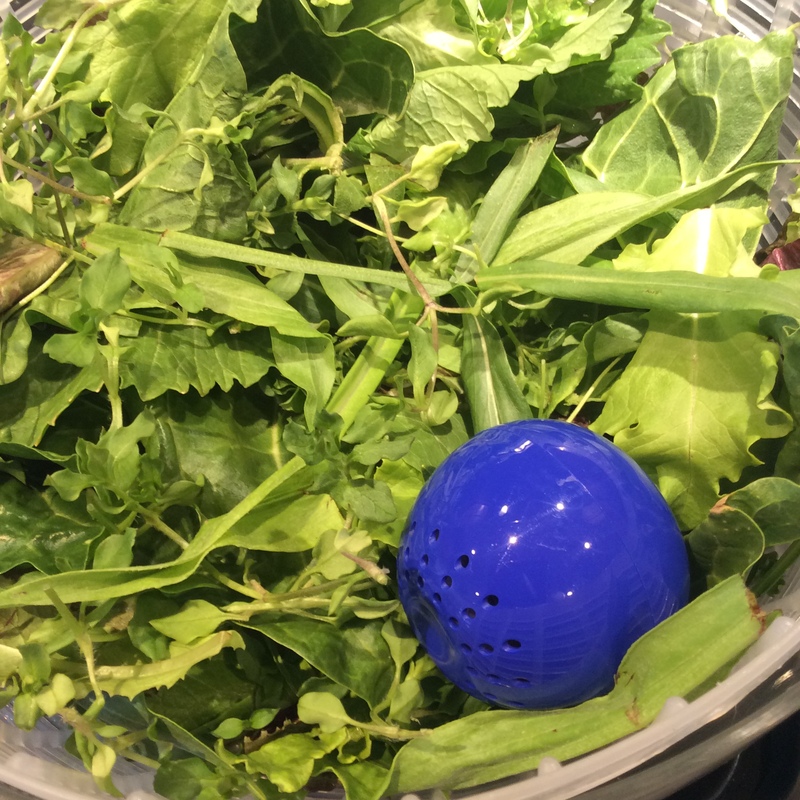 I don’t know how I managed to miss the existence of the Bluapple, a wonderful little device that absorbs ethylene gases and helps your salad greens stay fresher longer. Two of these little devices and a year’s supply of refills come in under $20, a bargain when you consider how often it will save you from throwing away your salad materials. Personally I always want to eat my salad greens within a few days of picking, but with this in my salad crisper, they are beautifully vibrant at the three day point, much as if I had just picked them out of the garden. This is significant for working people because washing and drying salad greens takes time, and if you could do it a day or two ahead of time without loss of quality, you will definitely eat more salads.